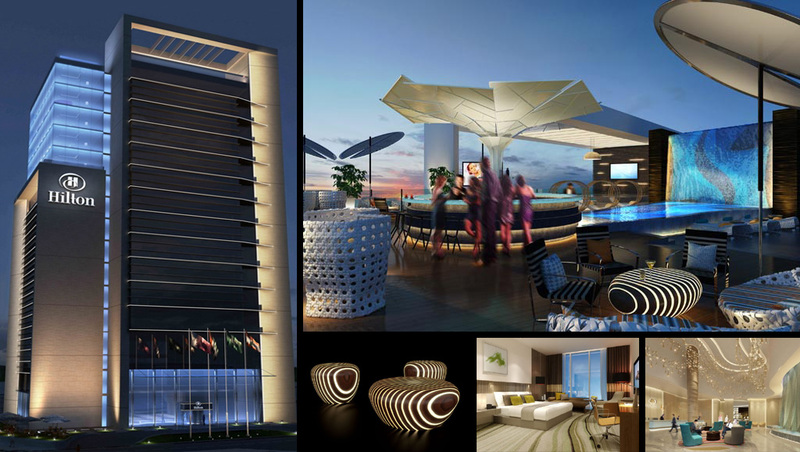 The LUXYDE firm arrives in Qatar at the DoubleTree Hotel Doha, the new luxury 5 star hotel of the famous hotel chain Hilton. On the roof terrace it is set up a real luxury living room, used as a lounge and cocktail area, with breathtaking views of the city. the environment’s protagonists are the beautiful Coffee Tables of Bright Woods Collection designed in exclusive by the architect Giancarlo Zema. 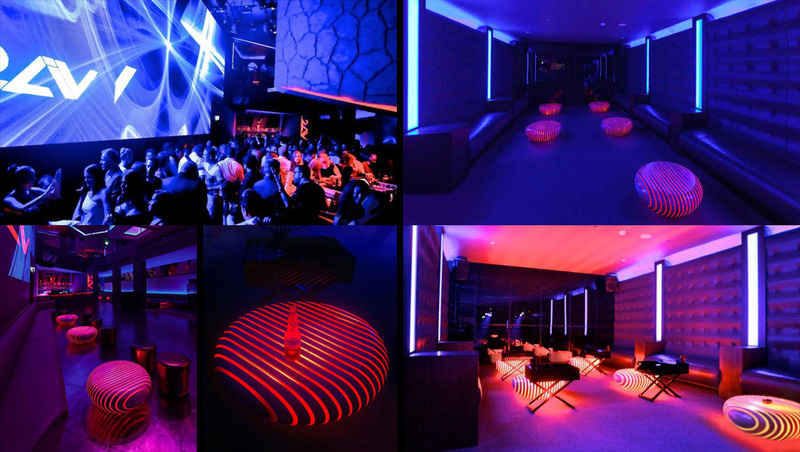 LUXYDE furnishes the most exclusive and innovative 2LIV nightclub at Sofitel Dubai – The Palm Resort & Spa, five stars hotel on the island the Palm Jumeirah. The led backlit Bright Woods Collection entertains the guests with a magic and the hypnotic play of light with music at the most trendy parties of the Gulf. 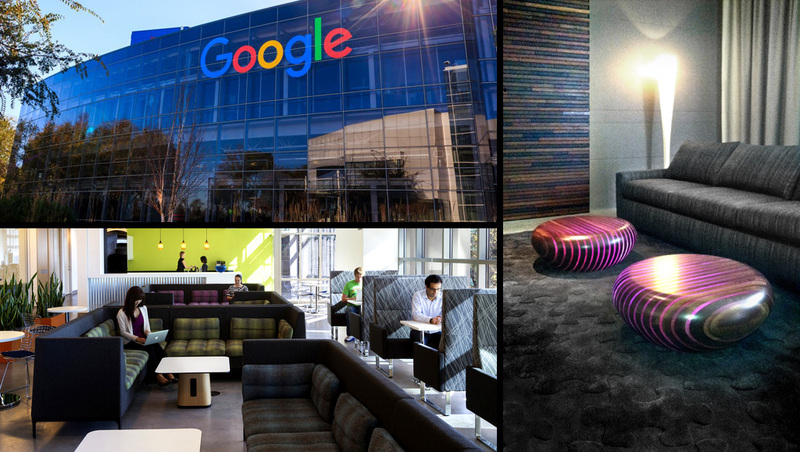 The LUXYDE’s Bright Woods Collection arrives in California in the Google Offices of Mountain View, to enrich the lounge areas with a series of coffee tables to give an exclusive and natural touch of Italian style. 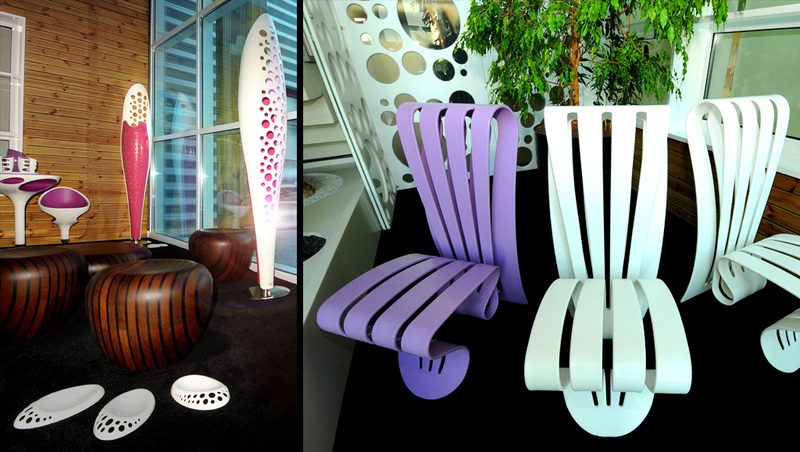 For the 1st Suistainability Conference of the SAP Company, between LUXYDE’s products were exposed the sinuous corian Leaf Collection and the poetic led backlit Bright Woods Collection at the SAP Showroom. 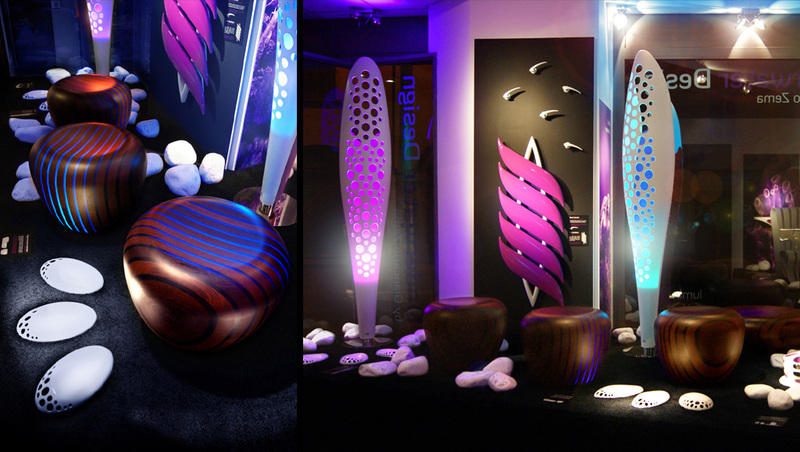 During the Milan Design Week the LUXYDE’s sinuous corian Leaf Collection and the poetic led backlit Bright Woods Collection has been exhibited at the Design Gallery Showroom Puntoluce. 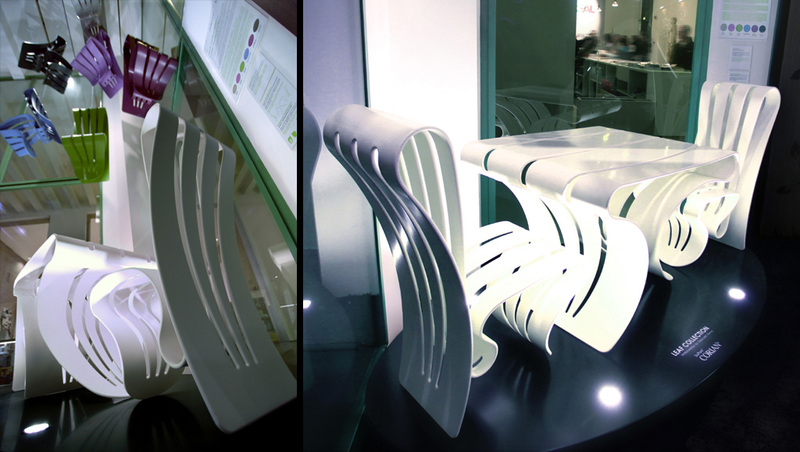 Like bending leaves, soft and flexible, this high scultural series of table and chair are realized in Corian. A contemporary material shapes precious unique pieces, brightly coloured, like the flexible-backed chair that fits itself to the body. The limited edition Leaf Collection by Giancarlo Zema for LUXYDE showed in the most important European Museum the renowned Triennale Design Museum in Milan.